LK has been a student of Yoga for more than 15 years, and a teacher of Yoga for more than five. 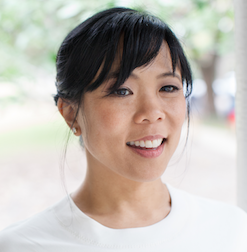 As a teacher, LK strives to provide a space of compassion and self-care for students, while encouraging each practitioner to find space and relaxation through thoughtfully sequenced postures, breathing techniques and meditation. LK considers herself a life-long student of Yoga and continues to pursue advanced teacher training towards the 500-hour level. She has taught more than 1,000 classes and private sessions and has studied with Chase Bossart, Donna Farhi, Leslie Kaminoff, Mark Whitwell, and Gary Kraftsow. She also completed a 50 hour Yoga Therapy Training program to obtain the skills to teach to those suffering from PTSD and anxiety. 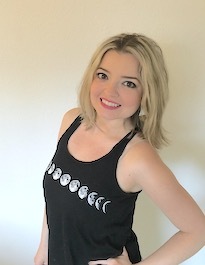 LK founded the Austin Yoga Hub to share Yoga news, workshops and events with the Austin Community. Rebecca’s classes provide a safe healing space where students can learn to be still and unravel stress, trauma and chaos; her classes are well-suited for all levels of experience and ideal for those seeking comfort and ease in stillness. A Yoga practice can be very physical, but it doesn’t always need to be. Many of us already have very active, stressful and demanding lives – Rebecca’s classes allow time and space to cultivate balance by exploring the softer, deeper, more subtle layers of the self. 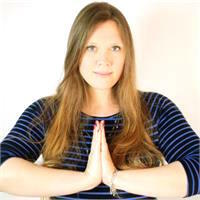 Rebecca, certified yoga thereapist and RYT 500 is certified to teach both Hatha and Kundalini Yoga, and she specializes in the more mellow practices: yin, restorative, and meditation. Before relocating to Austin, Kimberly was named in Backstage Magazine‘s ‘Best of L.A.’ under favorite Yoga class. She has gone through training with Alan Finger (ISHTA lineage), Kia Miller (Yoga Works techniques), Jasmine Lieb (Therapeutics), and Jillian Pransky (Restoratives). She has also been studying the Anusara lineage with her teacher, Shari Goodhartz, and can’t help but apply her latest love into her classes. Kimberly began her practice in ’98, after many attempts at trying Yoga, but never really resonating with it. Then she discovered Ashtanga. As an actor in NYC, she used her personal practice before every performance as a tool for focus and connection on stage, as well as to deepen her breathe as a singer. She continues to deepen her practice daily, as well as share her passion with her students. Whether the goal is to heal, to relax, to lose weight, or to find focus, Kimberly assists her students on their journey to feel better, to function better, and to find their truth. Jessica has been teaching Yoga for five years. 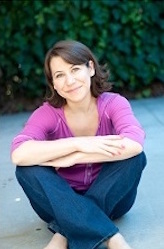 She is a 200 hour certified Hatha Yoga teacher working toward the 500-hour level. Prior to that, she received a BA in Communication from Southwestern University and an MS in Information Studies from the University of Texas. She has almost 20 years work experience in government, academia and the corporate world. Her most recent roles include work at the University of Texas System Administration, and she spent 5 years in a management position at a GPS road mapping company. She has been pleasantly surprised to discover how both the physical and psychological aspects of Yoga meld with her educational background. The heightened sense of awareness Yoga brings to the world within you and around you helps you find balance, and your communication and organizational skills become more effective. 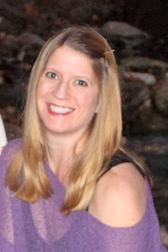 Melinda began practicing yoga after moving away from her home state of Texas in 2001 to live in San Francisco, CA. After over a decade of practice she was introduced to Vinyasa Krama Yoga as taught by Steven Ross and Pam Johnson and was inspired to finally pursue her 200-hour teacher training certification with the esteemed and longtime student of Sri T Krishnamacharya, Srivatsa Ramaswami. During the summer of 2013 Melinda received her certification from Loyola Marymount University in Los Angeles, CA , after a 7-week immersive training with Ramaswami. Shortly thereafter she left her office job as a legal editor for the State of Texas to teach yoga and continue her studies. Melinda’s classes emphasize the cultivation of self-awareness of both the physical and subtle bodies, pranayama, meditation, and chanting, and the Vinyasa Krama tenet of linking graceful movement with breath. 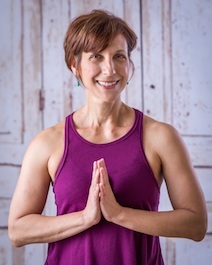 She has received continuing education in Ayurveda and Yoga and Yin Yoga through Sacred Roots School of Yoga in Austin, certification in Kids Yoga from The Little Yoga House in Austin, and training in Restorative Yoga through Kripalu Center for Yoga and Health in Stockbridge, MA. 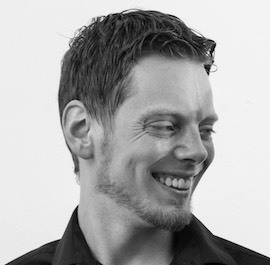 For over 15 years I’ve worked in health and personal development. I’ve taught over 2000 classes and events. In 2013 I helped launch Sanctuary Yoga, the only non-profit yoga studio in Austin, Texas. I have completed over 2000 hrs of training and am a Registered Yoga Teacher and Certified Life Coach. Joy was introduced to yoga in 2005 and immediately felt its transformative powers. She experienced different styles of yoga such as Ashtanga, Bikram, Anusara, Hatha, and Yin Yoga. As the years went by, she grew stronger in her practice and noticed she had developed a real sense of peace and well-being. Joy began seriously practicing around eight years ago and started to dive deeper into the Yogic lifestyle and living her yoga on and off the mat. Her passion for yoga has led her to the art of sharing yoga with others. Currently, with over 400 hrs of training, Joy’s style is unique and in her yoga class students at all levels of ability in their practice are honored for their differences, efforts, and practice together in a safe yet challenging environment. Her classes are breath-centered and focused on alignment, strength, balance, and flexibility. Joy’s teaching style is influenced mainly by the classic poses of Ashtanga based Vinyasa yoga. Through her own experiences, she teaches with a compassionate heart, offering her students an opportunity to surrender themselves to experience the present moment. Joy’s intuitive and kind spirit guides her to give each student a unique experience. She has had the honor of studying under Seane Corn, Sadie Nardini, and Shiva Rea. She also loves to travel, dance and practice acroyoga with her husband. I’ve been teaching Yoga and mindfulness for over 12 years. Completing over 1000 hours of training. I love teaching, in studios, offices, schools–anywhere there is a need to find balance. A native of Laredo, Texas, Cristina first discovered yoga in her teens as a way to prevent injury while dancing ballet. 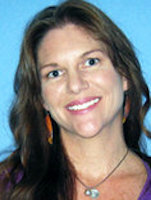 Cristina completed her first 200-hour hatha training in Austin in 2008. In 2012, she earned a bachelor’s degree in graphic design from the Art Institute of Austin. After graduating, Cristina decided she once again wanted yoga to be a significant part of her life. She completed 200-hour hatha flow training in 2016, and has been teaching ever since. She has studied with various teachers, such as Jason Crandell, Judith Lasater and Chase Bossart. Her practice consists of vinyasa and hatha flow, but she also knows it’s important to slow down with yoga nidra, restorative yoga or hatha yin. Yoga has always been a part of Cristina’s life, but since practicing consistently for five years and teaching for three, she has noticed vast changes in her life and wants to share that with others. I believe Yoga can help everyone feel better, and be more fully engaged and effective in all areas of life, both personal and professional. My passion is helping regular people discover and explore yoga to create space and ease in the mind, body and heart. I believe that your Yoga practice will meet you where you are on the path, and that is different for everyone. It is my intention that everyone will feel “comfortably challenged” in my classes, and honor themselves by taking care where they need to and finding their edge where they choose to. It is my hope that students will carry their practice off their mats and into their lives.